With FontLab (was FontLab Studio), you can create, open, modify, draw, space, kern, hint, and export desktop, web, color, and variable fonts. It is an all-around font editor, but also supports data interchange with other font creation tools, making it easy to integrate into your existing workflows. FontLab brought in the best of their classic apps, FontLab Studio and Fontographer, including many familiar keyboard FontLab shortcuts. But they reconsidered and streamlined every function. 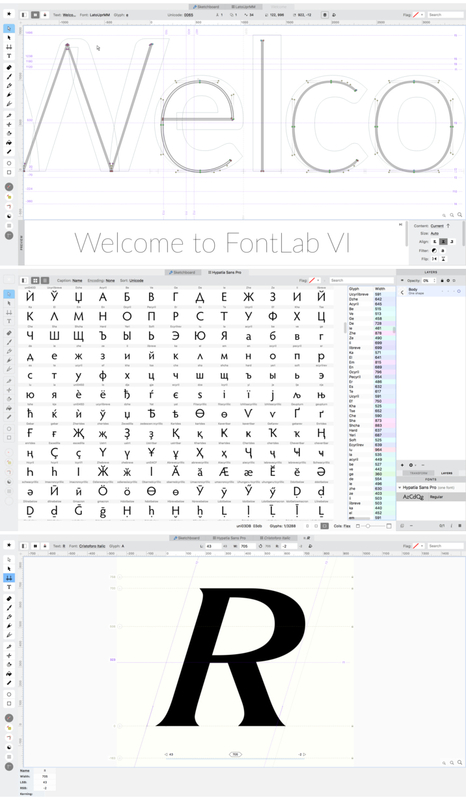 FontLab VI also gives you groundbreaking new drawing tools and responsive contour operations to make your design process easier and more efficient, whether you’re an expert or a beginner. FontLab now supports color and variability, so you can explore these new possibilities and expand your creative reach.